I'm stretching it a bit with the whole "Taco Tuesdays" title. 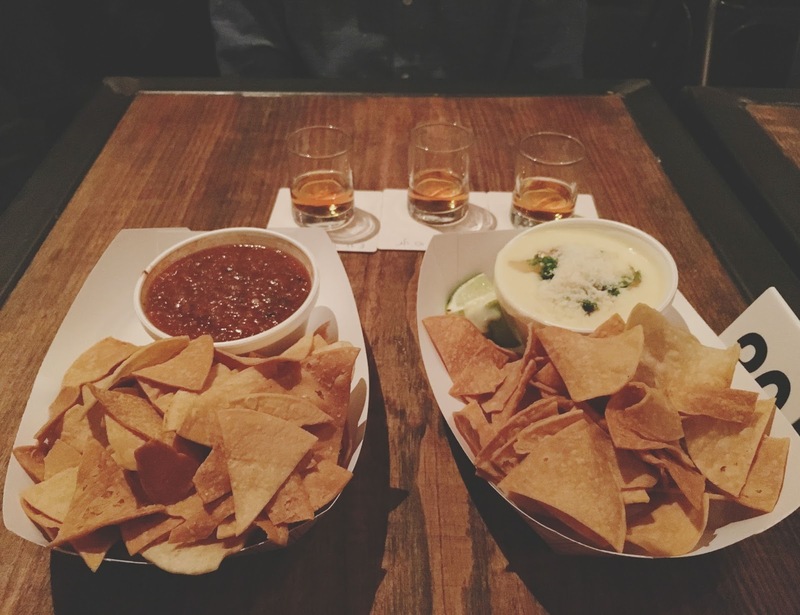 Because this post is about 20% tacos and 80% whiskey. Isn't there a popular saying that goes "Weight loss is 20% tacos and 80% whiskey"? Yes, that's definitely it. So by my estimation, we are all doing juuuust fine on our New Year's food and weight loss resolutions! I've now been to the Houston Heights bar Eight Row Flint three times for food and drinks since it opened - for the sake of research, you know - and I've gotta tell ya, the taco whiskey diet is absolutely everything it's cracked up to be. I had been wildly anticipating the opening of this bar for a long time because the concept was dreamed up by the Coltivare folks (and if you know anything about me, you know that I am deeply in a borderline scary obsessed love with that place and it's incredible food). When Jon and I went to Eight Row Flint for the first time in December, he ordered some bourbon, and I ordered the frozen Ava Crowder. I've had a non-frozen Ava Crowder at Coltivare several times (it's generally available, even if it isn't listed on the menu), so I was excited to try its icy counter part. The Ava Crowder contains bourbon, bitters, and sorghum syrup (and possibly some other ingredients? ), and is garnished with booze-soaked cherries (the best kind). It's slightly sweet, incredibly boozy, and very hearty. 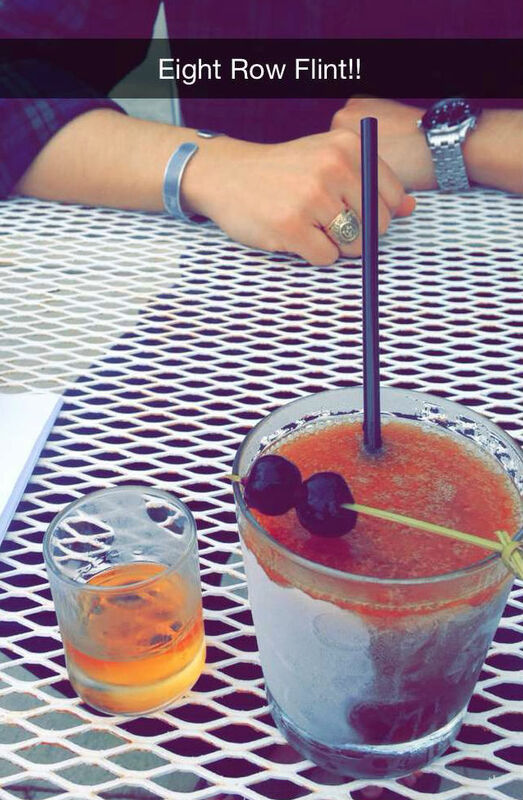 The drunken cherries are syrupy and sensational. I absolutely love this drink, and was happy to discover that the frozen bar version tasted exactly like it's non-frozen restaurant version, only slushy! On that first visit, we of course had to order some food as well. A food truck stationed behind the bar produces chips, queso, salsa, and tacos. Jon went with the Braised 44 Farm beef cheek taco (above, left) and the Berkshire pork taco, while I opted for the brussels sprouts taco (above, right). Mine was simply outstanding. The smokey, caramel-y brussels were topped with a crema, radishes, charred onions, queso fresco, and cilantro. All of the ingredients and the corn tortilla itself were fresh and lively! On our second visit to the bar I ordered another frozen Ava Crowder, because life is too short to sip on drinks that make you anything other than totally blissed out of your mind. On that particular night, Jon and I were having a pre-dinner drink before meeting our friends Blake and Katie for dinner at North Italia in Houston's Galleria area. While at Eight Row Flint, we ended up pushing tables together with another couple, Christina and Clarke. 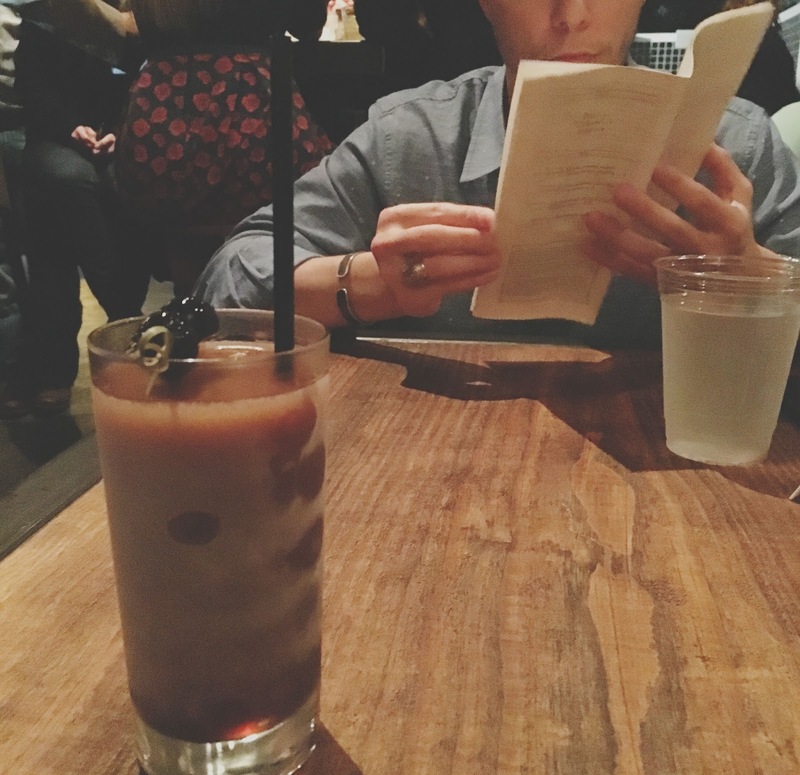 We became instant friends with them, and a few weeks later met them for dinner at Coltivare! Eight Row Flint. Bringing people together one taco at a time. Jon decided to try a sampling of different bourbons that night. Our server was exceptionally frazzled (it was still pretty new, and incredibly busy, so we cut her some slack), but she did label the bourbons, which was incredibly helpful. For food, we ordered the chips and queso. 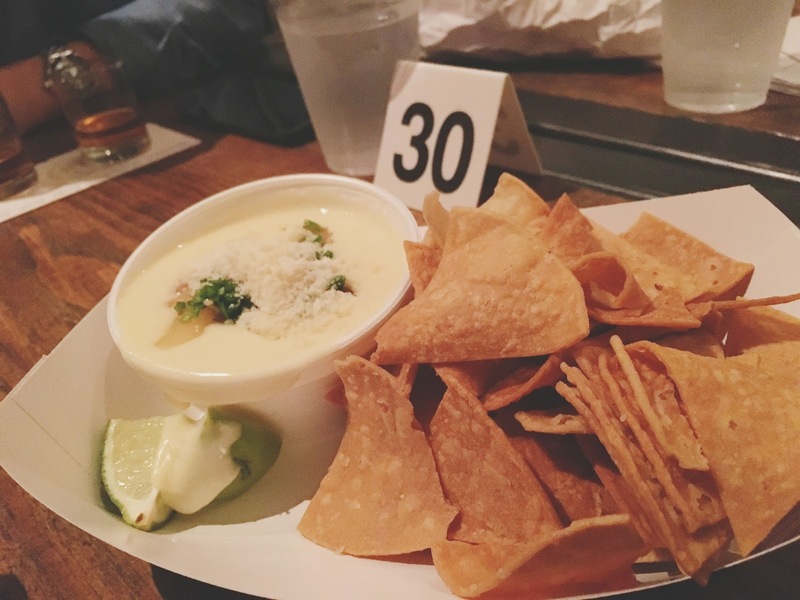 The white queso was different from the sharp, yellow queso we've grown accustomed to here in Houston, and it had a light, yet snappy, tart taste to it. Though I was not too crazy about the chips themselves (they were freshly made, but a bit tough to bite into), the queso was done very well. But I am sad to report that Christina texted me last week and said the Ava Crowder is no longer available at the bar, and cannot be ordered off-menu (!!!!!!!!!!!!!!!!!!). Listen, if anyone reading this is as upset about this as I am, we should probably start a Kickstarter campaign to bring it back. Is this a whole new level of obsession for me? (don't answer that). Regardless, I still love the place. Our third visit to Eight Row Flint was a couple of weekends ago when we took my sister Emily and my cousin-in-law Amber who was visiting Houston. We did not order any food, but I mustered up the nerve to try a bourbon barrel tasting. 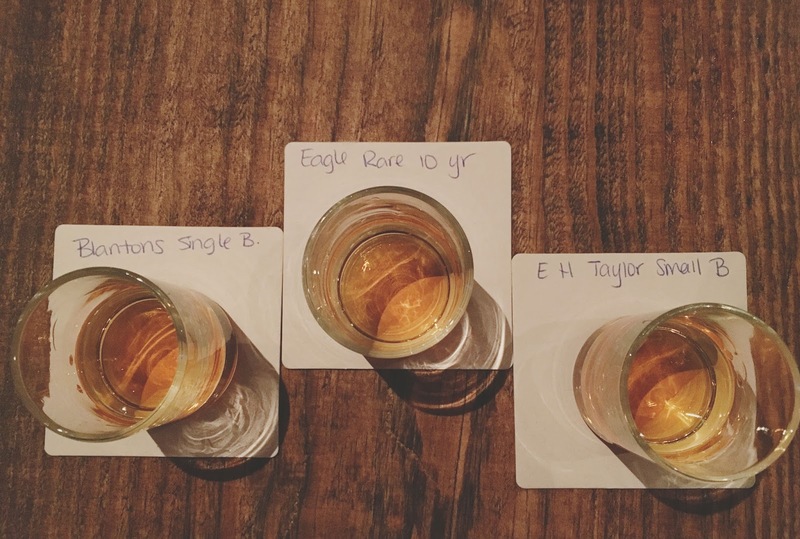 The whole process that Eight Row Flint uses to be able to pour these whiskeys directly from the barrel is totally fascinating, and I will never be able to fully explain it nearly as well as this article written by Eric Sandler does (so you should definitely read it!). That particular night, I was given a sampling of Jefferson's, Eagle Rare, and Knob Creek. Let me preface this by saying, I am in no way, shape, or form a whiskey person. 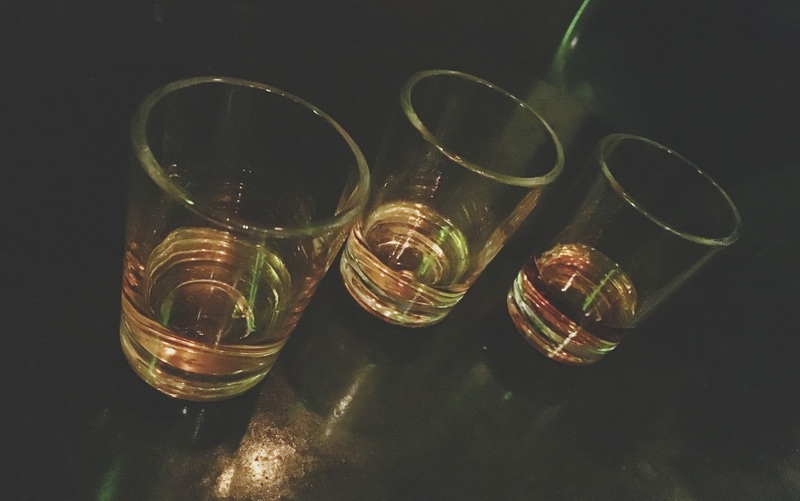 In any given normal situation I would not order a whiskey sampling. But since this sampling represents the very essence of what the bar at Eight Row Flint is about, I strongly felt that I had to give it whirl! The Eagle Rare created a significant burn at first swallow, but smoothed out later with a honey finish. It had a nutty aroma. In my notes, I wrote, "rubbing alcohol," so yeah... it was strong. The Knob Creek had the highest amount of rye, and had the most burn. It had a butter pecan smell to it, and was very, very strong. Since I'm such a ninny, Jon happily finished this one off for me! 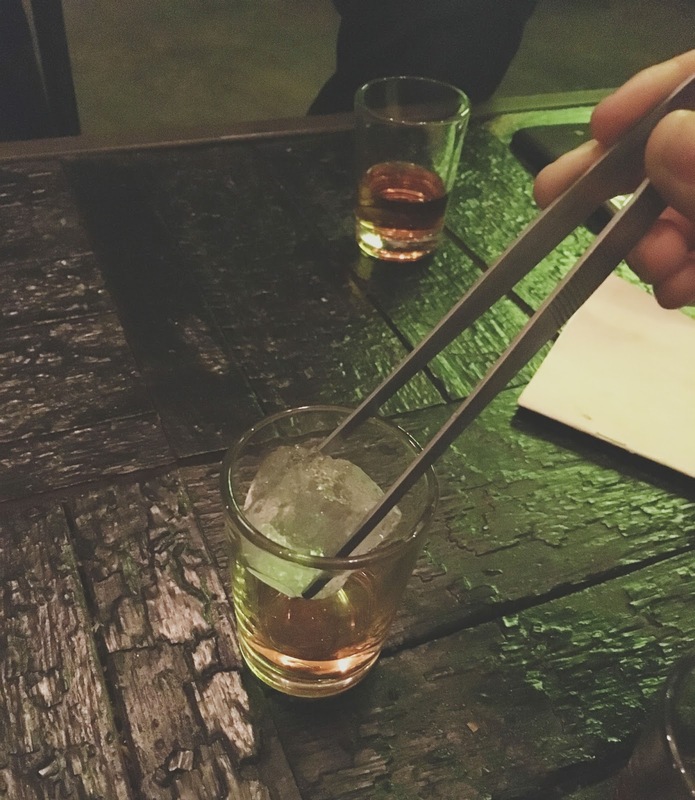 Our incredibly bubbly and engaging server brought me two fancy ice cubes with giant tweezers to add to the Eagle Rare and Knob Creek. This took the edge off quite a bit, and for that I was super grateful. 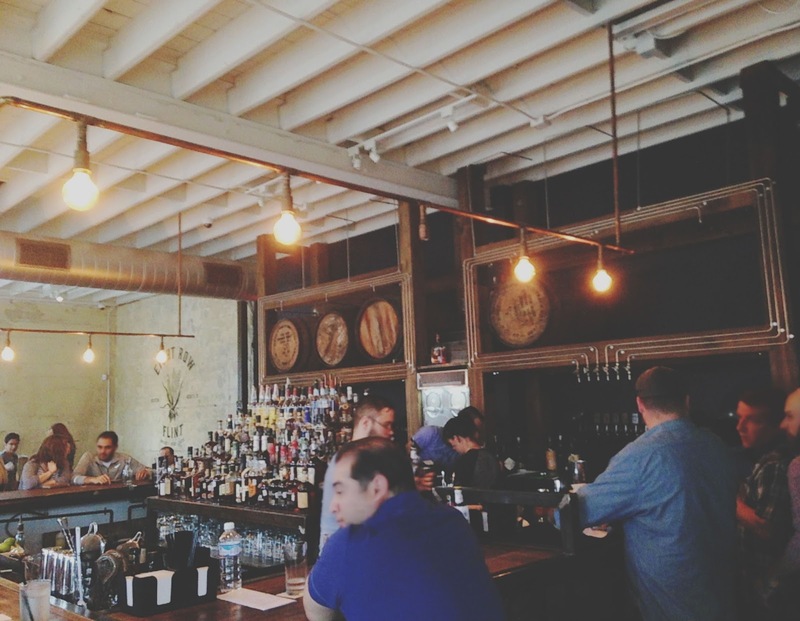 While whiskey in its purest form may not be my total jam, Houston's Eight Row Flint is. Their simple, fun,delicious food pairs wonderfully with the vibrant, cool atmosphere and whiskey drinks. 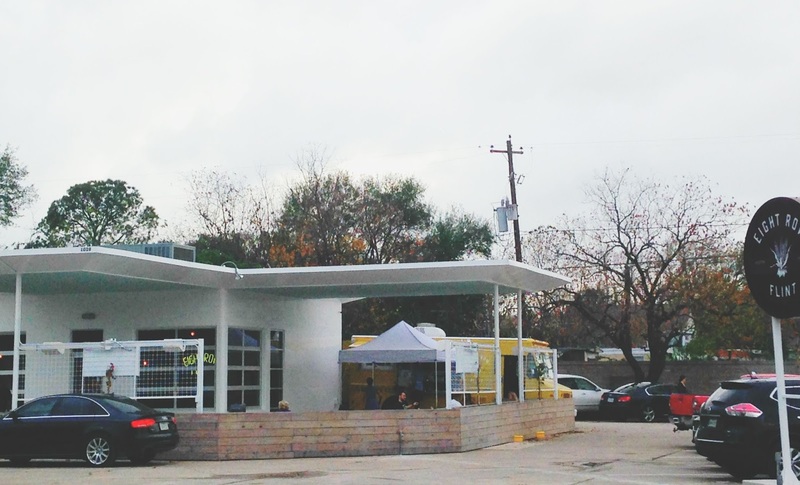 It is for sure one of my favorite new bars in Houston! 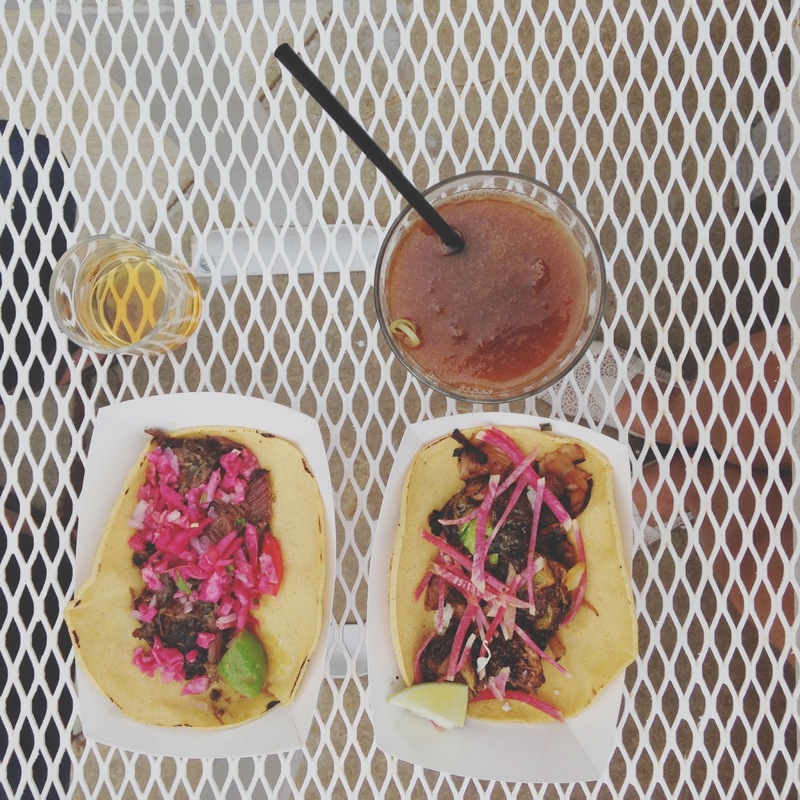 The taco whiskey diet. It's a thing. I want to be the kind of person who pushes my table against a stranger's and makes friends. I love that! True story, we tried to go here once after finishing a meal, I was cold, there was no seating, and I was whiny so we left. Tell me the Lilly Langtry makes an appearance and I'll definitely try it again, though - but those tacos could get me there regardless. It was a particularly crowded night, and we had already been chatting with the folks next to us, so we figured we might as well free up some space for other people! You'll definitely have to make a trip back (though your hubs might be disappointed in the disappearance of Ava), especially on a nice day when the outdoor seating is utilized. I don't know what a Lilly Langtry is, but now I want one! And yes, the tacos. Unreal.